Growing up in Portland, sometimes we would head over to this one restaurant that was famous for its strawberry shortcake. The restaurant in question is called Tebo's, and it's kind of almost an assembly line situation. You go in, wait in line and order things as you move down a sort of buffet, with little plastic tags informing those doing the cooking on the other side of the barrier what you're waiting for. Anyway, I have fond memories of ole Tebo's, and they are due in no small part to the strawberry shortcake. 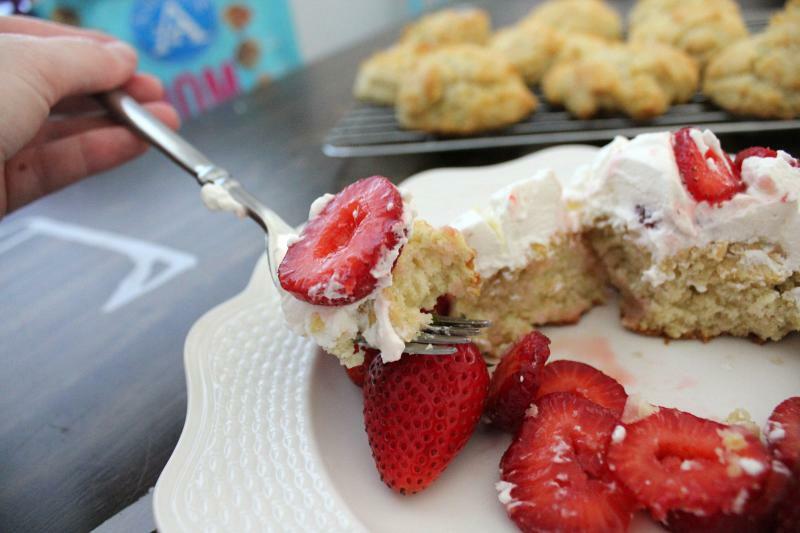 This homemade version is more like biscuits with strawberries and whipped cream. 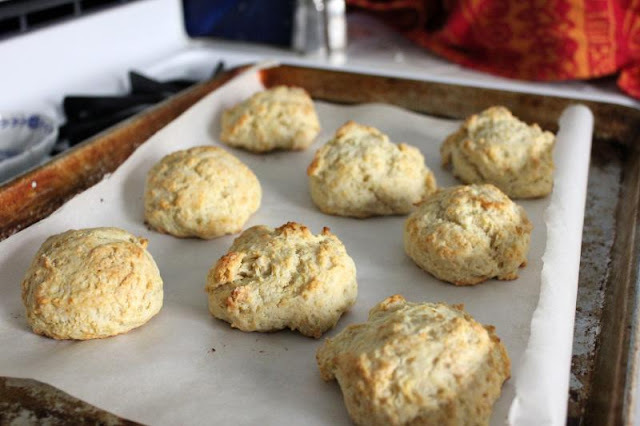 Yep, it's a drop biscuit recipe! And you know what? It works just as well as regular shortcake. For reals, try it and just see. I don't think you'll be missing anything. Though I'm not sure Tebo's would agree! It's funny, though, because I forget how great strawberry shortcake is until I have it again, and then it's like whoa, I have been missing out! There's not much better than fresh strawberries tossed in a bit of sugar with some warm biscuit and whipped cream. Or even some vanilla ice cream. I've been having the ice cream variety the last couple of times, and it's pretty damn good as well. Whatever your heart desires, you can't really go wrong. Unless you're like my stepdad and are just not a fan of whipped cream in general, then I suppose you're going to go for the ice cream straight off the bat. Go forth and eat this deliciousness! For reals. Strawberry shortcake using biscuits instead of the traditional shortcake. Yum! Preheat oven to 475°F. 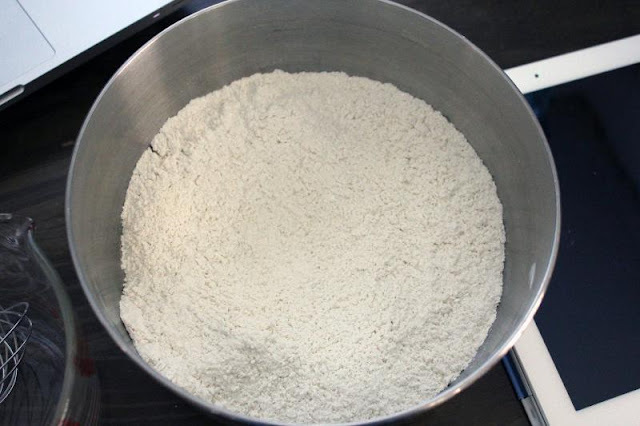 In a large bowl, whisk together the flour, baking powder, baking soda, sugar and salt. 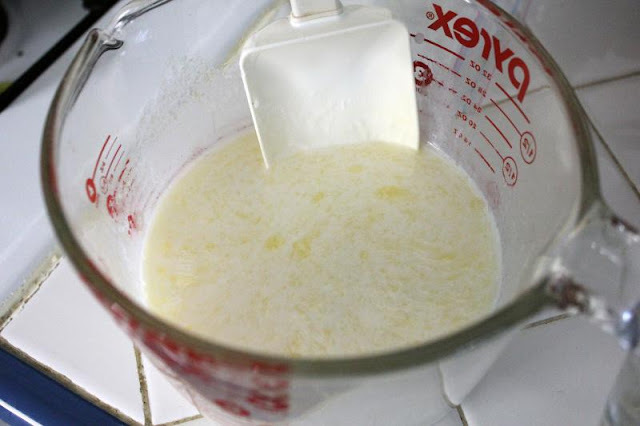 In a medium bowl, combine the melted butter and buttermilk and stir until the butter forms small clumps. 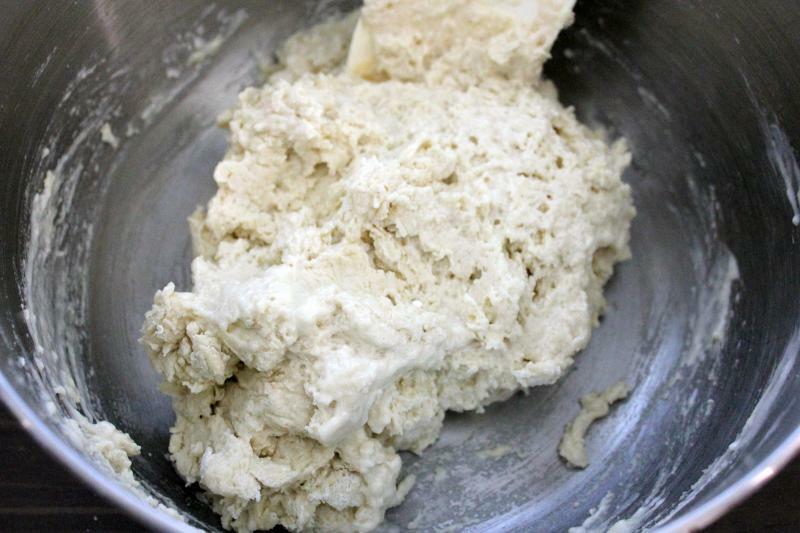 Add the buttermilk mixture to the flour mixture and stir with a rubber spatula until just incorporated. With a greased 1/4 cup measuring cup, scoop level amounts of batter onto a parchment-lined baking sheet. 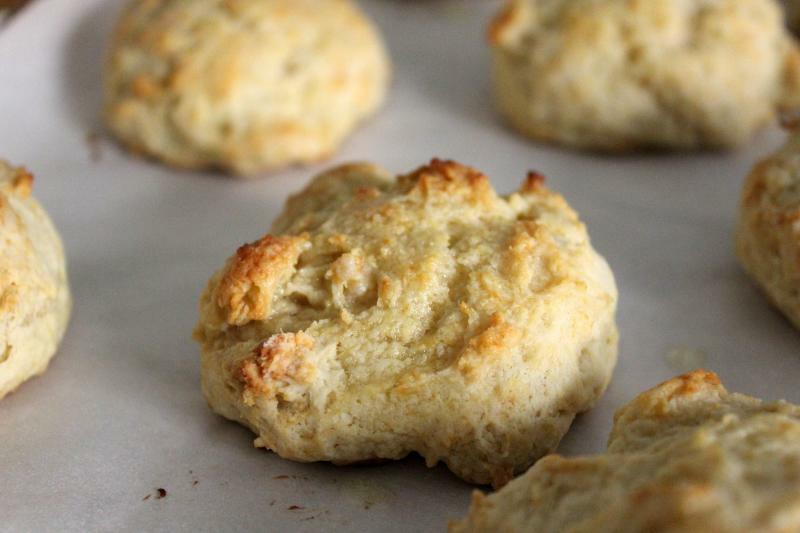 The biscuits should be about 1 1/2 inches apart. Bake until the top are golden brown, 12-14 minutes. 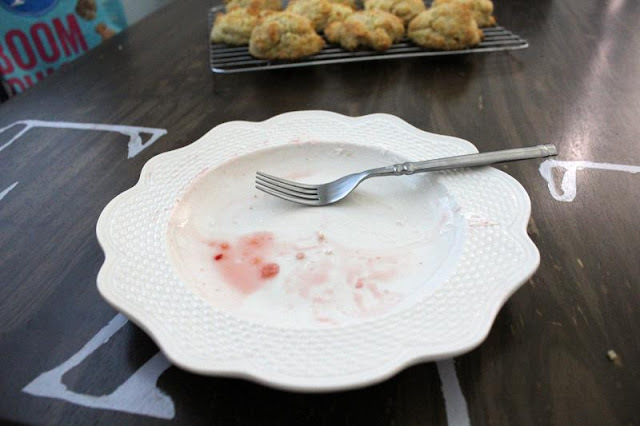 While the biscuits are in the oven, prepare your strawberries. 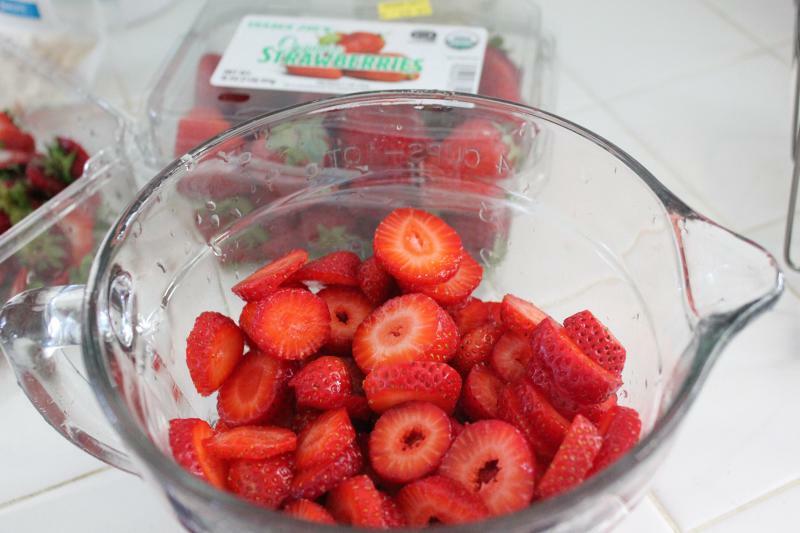 Mix the sliced strawberries with the sugar and set aside. Also stick your mixing bowl and whisk attachment you will be using for the whipped cream at this point. Once the biscuits are golden brown, remove from the oven and brush the tops of the biscuits with the remaining 2 Tbsp melted butter, then transfer to a wire rack and let cool. For the whipped cream, assemble your bowl and whisk attachment, then mix together the cream and sugar on medium-high until it reaches stiff peaks. 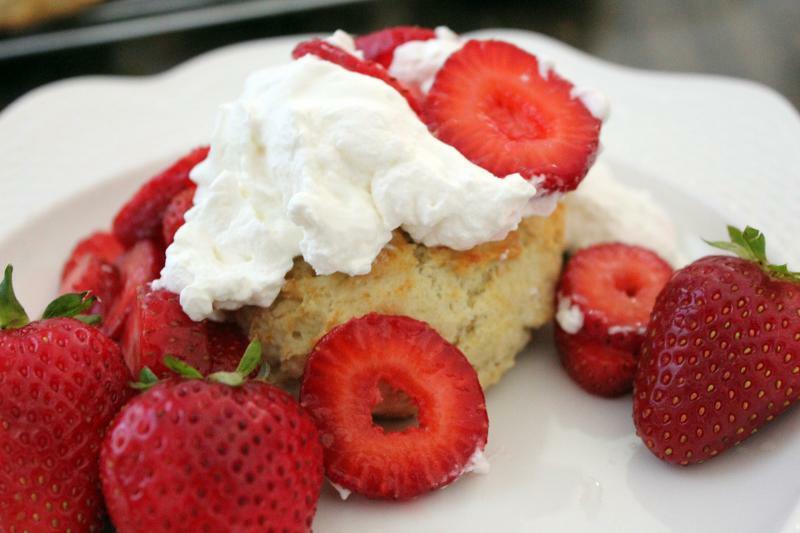 Stick down a biscuit, top with whipped cream and strawberries, and go to town! You can also, of course, substitute in vanilla ice cream for the whipped cream, or heck, if you're feeling really adventurous, do both! In a medium bowl, mix together the melted butter and buttermilk until the butter forms small clumps. Add the wet ingredients to the dry ingredients and mix with a rubber spatula until just incorporated. Don't overmix. 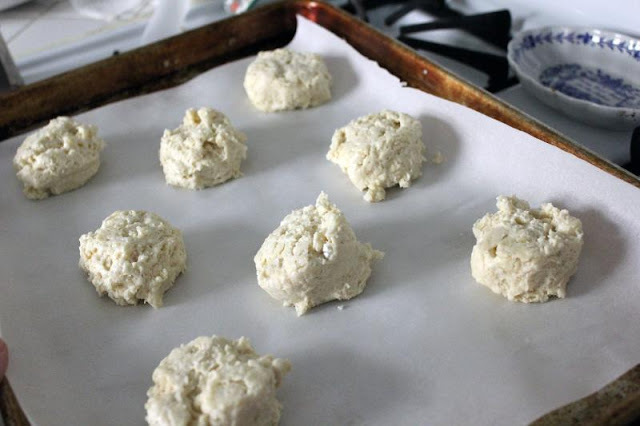 Using a greased 1/4 cup measure, scoop out level biscuits onto a parchment-lined baking sheet. Stick those in the oven for 12-14 minutes until the tops are golden brown. 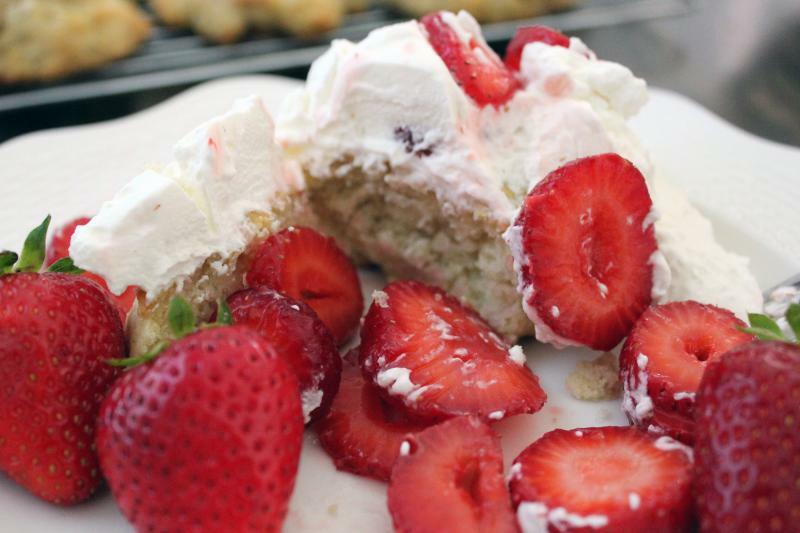 Stick your mixing bowl for the whipped cream in the freezer at this point, and also get to work on your strawberries. Mix the sliced strawberries with 2 Tbsp granulated sugar. Brush the tops with the extra 2 Tbsp melted butter, and set on a wire rack to cool. 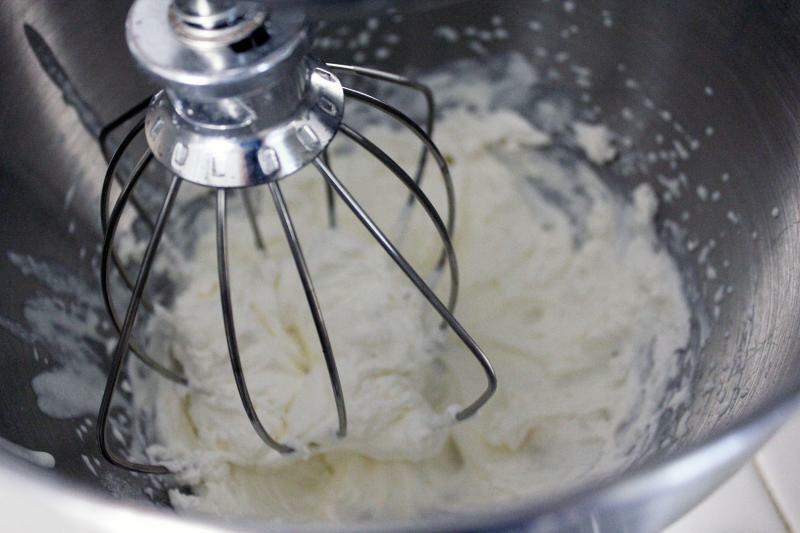 Now it's time to make your whipped cream. Beat with your whisk attachment the heavy cream and sugar until it forms stiff peaks. It can be used right away or you can stick it back in the fridge and give it a quick whip when you're ready to use it. Assemble that baby and dig on in!